The statistics are there for all to see, but few choose to see them or pause long enough to consider the long-term socio-economic effects. I am referring to the rapid graying of the world. By 2030, it is predicted that, for the first time in history, the number of people over 50 will be more than those aged 17 and under. Do a Google search, and you can see this demographic pattern repeated in country after country. 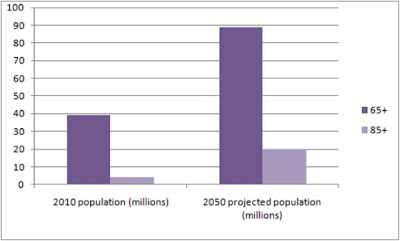 In Malaysia, by the year 2025, there will be approximately 2.1 million people above age 65. In Singapore, the birth rate fell to a record 1.16 from 1.22 last year, while the number of elderly people continues to grow. According to former PM Goh Chok Tong, "In 20 years' time, one in five - or about 900,000 people - will be aged 65 and older." (Straits Times: 12 Dec '10). 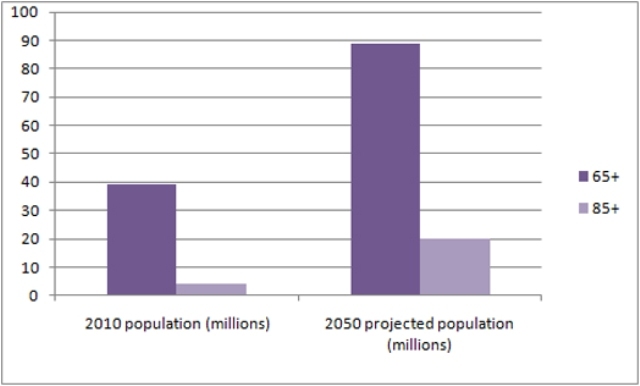 In the US, the numbers of those 65 and older will jump from 39 million today to a projected 89 million by the 2050. In the US there are currently 7,600 geriatricians to cope with the needs of the 39 million above 65. 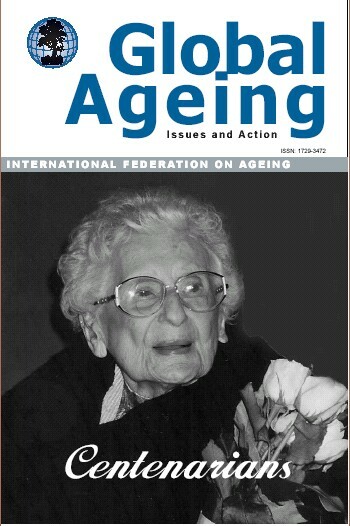 According to the Alliance for Aging Research, there is an urgent need for 14,000 more geriatricians. ﻿The situation in China is even more critical. 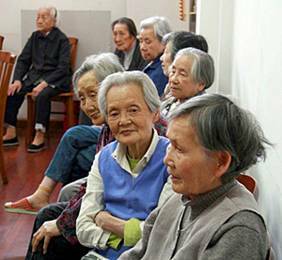 At the end of 2009, China had 169 million people older than 60. That's 12% of the population. This is expected to rise to 250 million people by 2025. Think of the implications. With a shrinking young work force and rising cost of living, do adult children have the time and money to look after their aged parents? Can the government shoulder the enormous costs of healthcare for the elderly? Are there enough trained and qualified healthcare personnel to cater to the needs of the elderly? Are housing developers looking into building age-friendly homes for the aged and retirees? In Malaysia, there has been a mushrooming of nursing colleges and universities with medical faculties offering nursing courses. A check shows that none of them, including the top two nursing colleges - Masterskill and Mahsa - offer special courses in geriatrics or healthcare for the elderly. There are no recent figures on the number of qualified geriatricians in the country. In 2006, there were only nine. The number can't have gone up by much since then as geriatrics is not a popular choice of study. So where do we go from here? Singapore has already embarked on a pilot study to find out the needs of the elderly so that the government can create a support system for them. What have the Malaysia government put in place for the care of the aged? Are they even aware of the far-reaching repercussions of a graying society? THE DOMINOES HAVE STARTED TO FALL.....WHO'S NEXT? SHOULD A HOUSE REFLECT STATUS OR VALUES? ARE CHINESE MOTHERS MONSTER MOMS? CHINA - THE LAND OF FAKES?